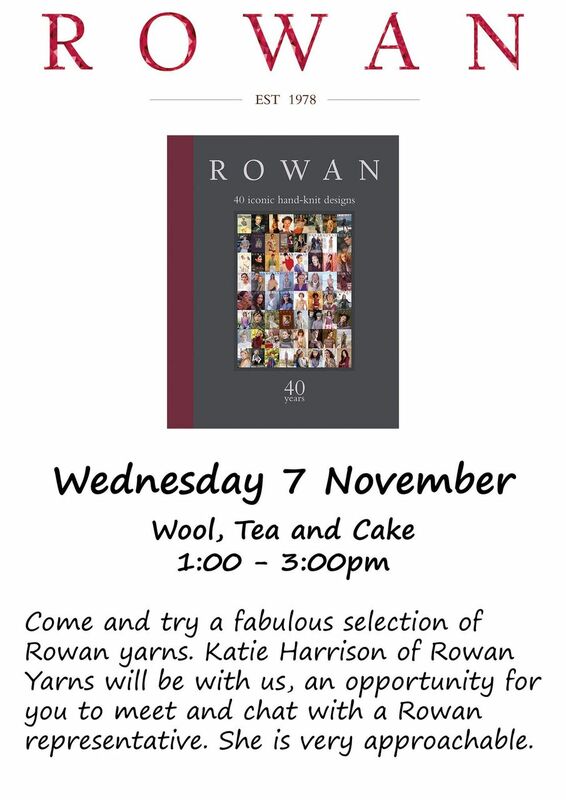 This year sees Rowan Yarns celebrate their 40th birthday and Knit one… is joining in. 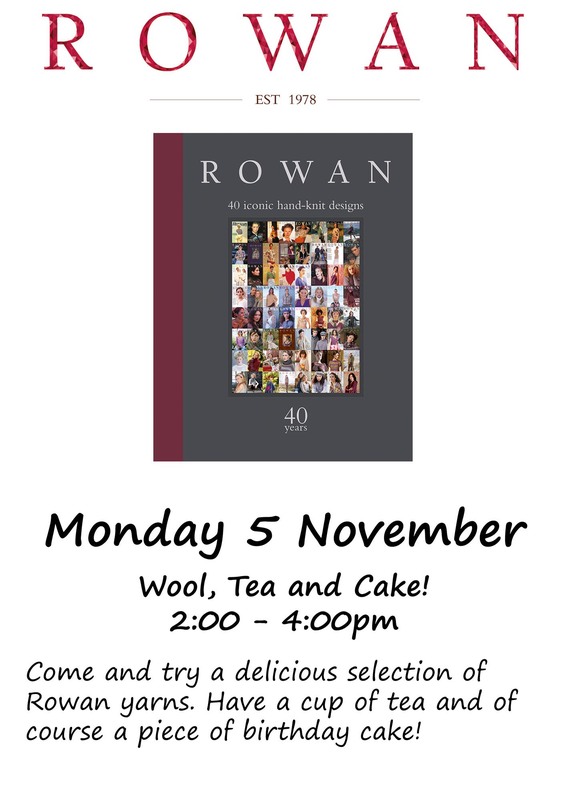 And on Monday, 5 November – the shop is normally closed on Mondays – Knit one… is open, with a taster session (plus tea and cake) taking place between 1 – 3pm. 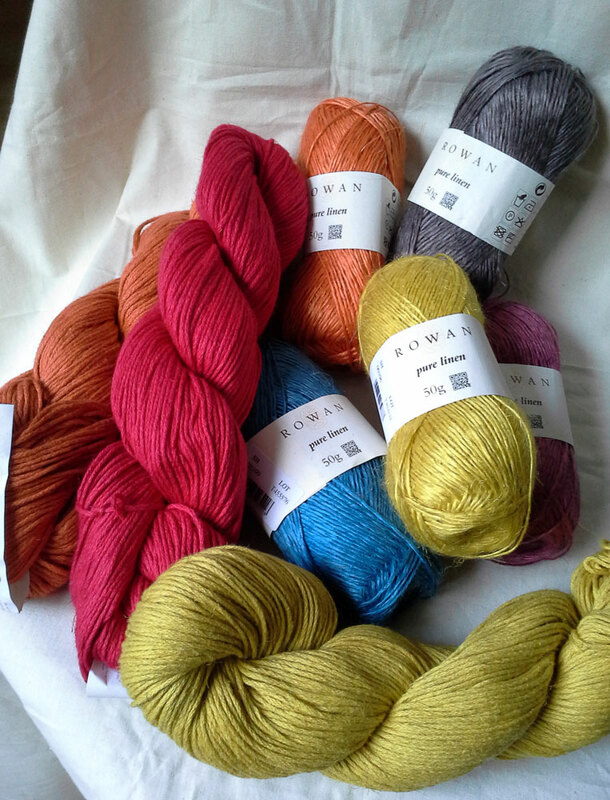 Plus, there are some of Rowan’s discontinued yarns available throughout the week at a discount. Just saying. 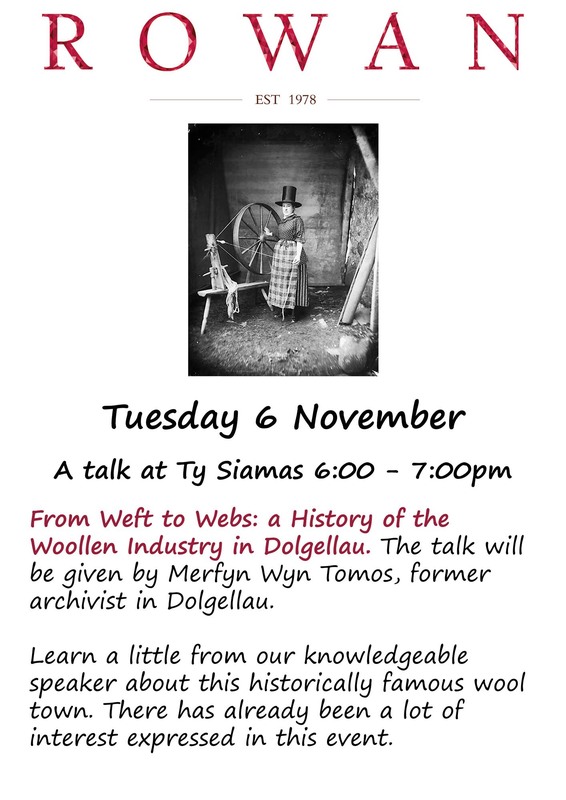 On Tuesday, there’s a free talk on the textile history of Dolgellau (if you’re visiting, just look up – there are signs of the towns wool heritage everywhere, from hoists for bags of wool to long upper windows, which gave better light for looms). 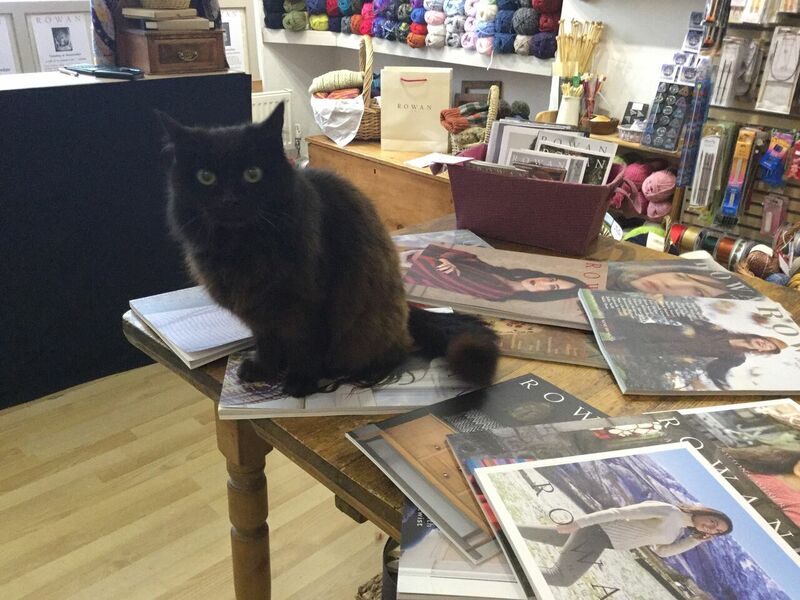 which may (or may not, because cat) also be graced with the presence of Bramble, here supervising the display of previous Rowan magazines. Don’t worry, she’s sitting on the shop copies. Of course. Did you know Kate Moss started as a knitwear model? She’s in Issue 10. Oh, and needless to say, the shop is open as usual between 10am and 5pm each day. There’ll be lots of posting on our Facebook page, no doubt! 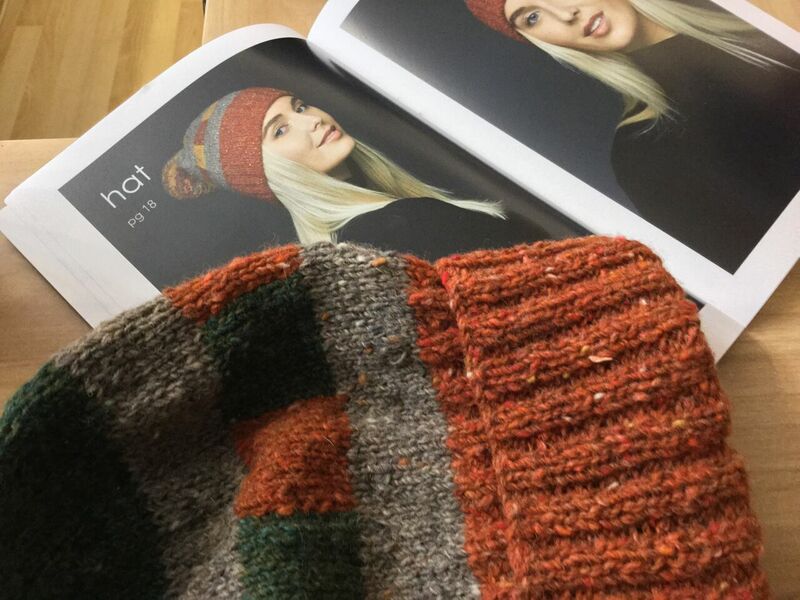 It’s time to make room for some of the lovely new summer yarns, so Knit one… is having a sale. 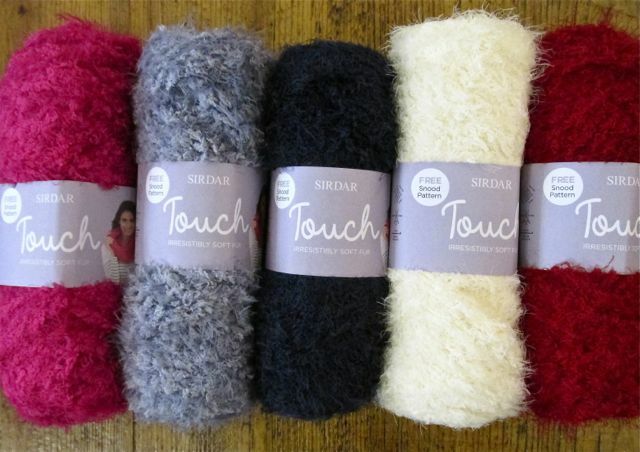 To start with there are some loevly Sirdar yarns, in packs or half packs, at up to 50% off, as well as some smaller quantities. There are also some patterns, some fixed point circular needles, and some Addi interchangeables (wooo, 50% discount there), again to make way for new stock. 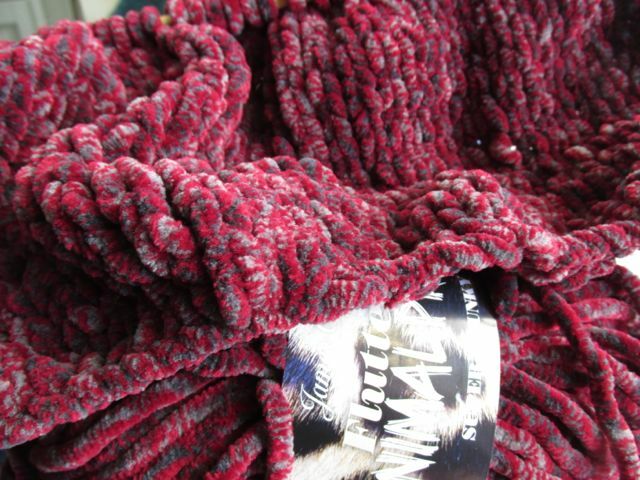 … but they really help when you’re thinking about presents, especially when they’re chunky and knit up quickly! Every year there are some ‘novelty’ yarns, and every year many of them sink without trace. But there are always some that have lasting value, and here are three which are going down well. Very snuggly. It sells at £3.75 a ball, and there are 100 metres to each 50g ball. Then there’s a new addition to the popular Flutterby line from James Brett, called ‘Animal Prints’. This red one is so strokeable – well, they all are, but this seems particularly appealing! Flutterby is particularly popular with people who crochet, incidentally. 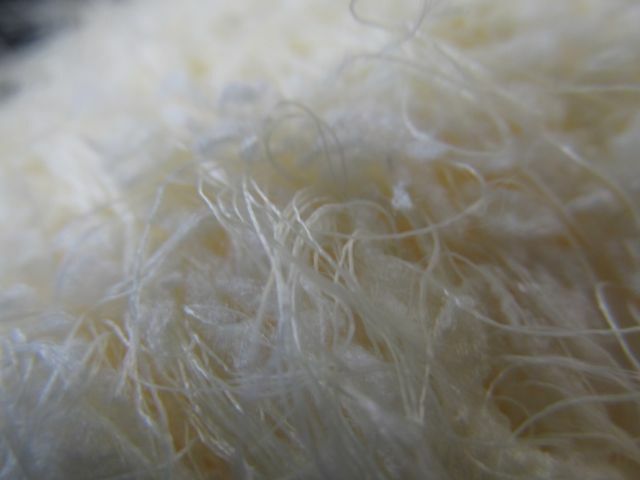 It really looks great, and the texture is brilliant in whether you prefer to use sticks or hooks (OK, knit or crochet). It’s £3.99 a for a 90 metres, 100 gram ball. It knits up on 10mm needles, so a simple cowl (one skein, and the pattern’s included) can be done in an evening. Perfect, and at £4 for a 100g and 67m skein, pretty much ideal! 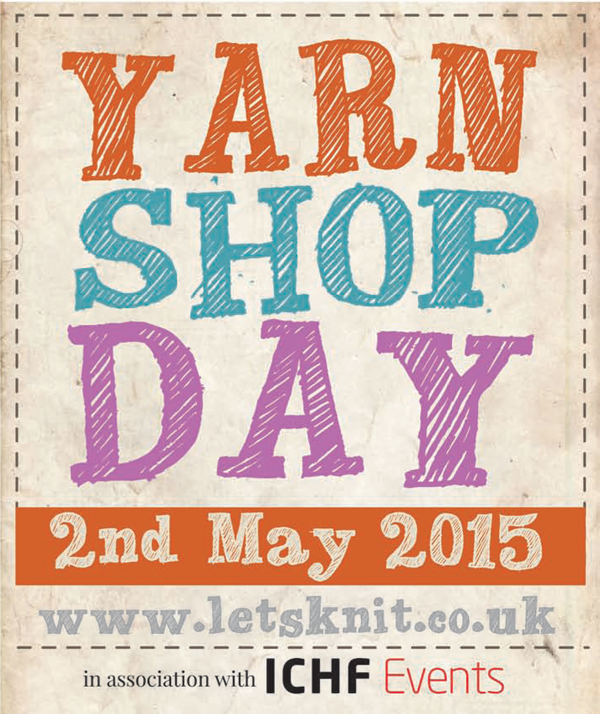 Knit one … is taking part in Yarn Shop Day! On Saturday 2 May 2015 yarn shops up and down the country will be opening their doors to celebrate the continued existence of Independent Yarn Shops … I’ve always called them Wool Shops though. Mind you I’m told wool shop rules out the possibility of selling silk, bamboo, cotton, aloe vera and acrylic and others. Therefore ‘yarn shop’ it is I guess (in my heart it is still ‘wool shop’). We, Kate and I and not Bramble (recent star of Twitter @WoolShopCat) will be providing a Knitting Hospital A & E Service between 1.00 and 3.00 pm on this special Saturday – 2 May 2015. 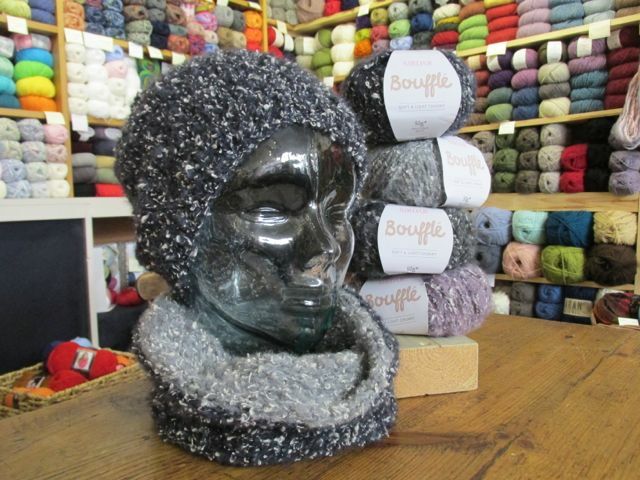 If you have a knitting query that is baffling you, or you have forgotten a technique, or want to learn a new one, bring your knitting in to us. We will do what we can in the time we have. We might have to operate on first come first served basis if we are buried under a mountain of WIPs (works in progress). Watch this space – more to come! 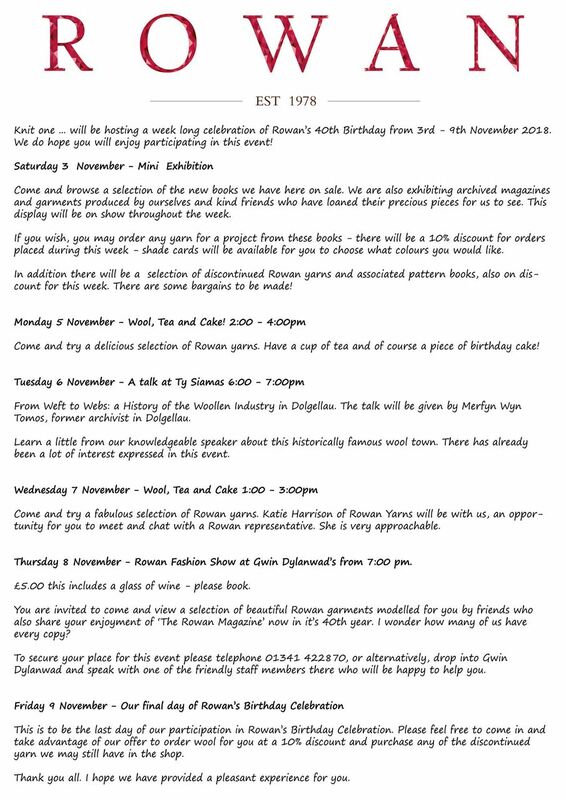 If you are not in Dolgellau and want to support your local Yarn Store there’s a map of other shops participating in the day here. 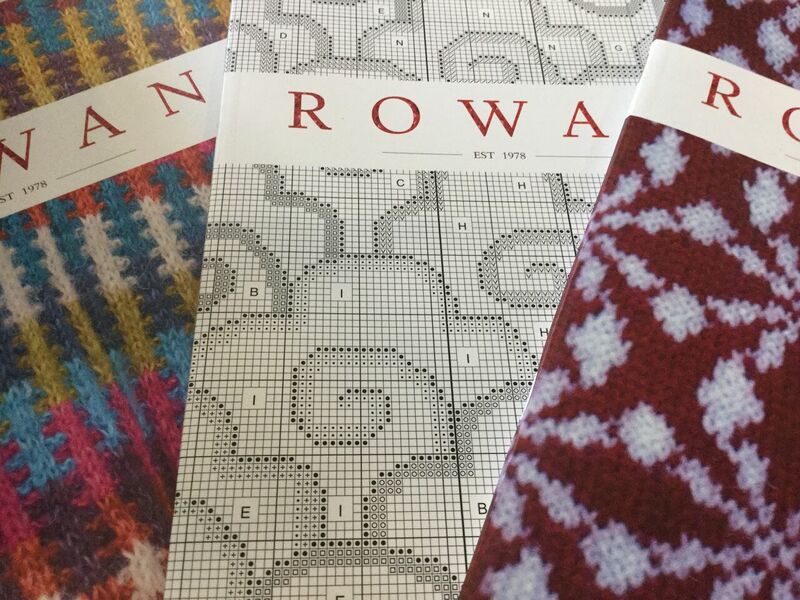 Rowan 57 is at last in the shop. 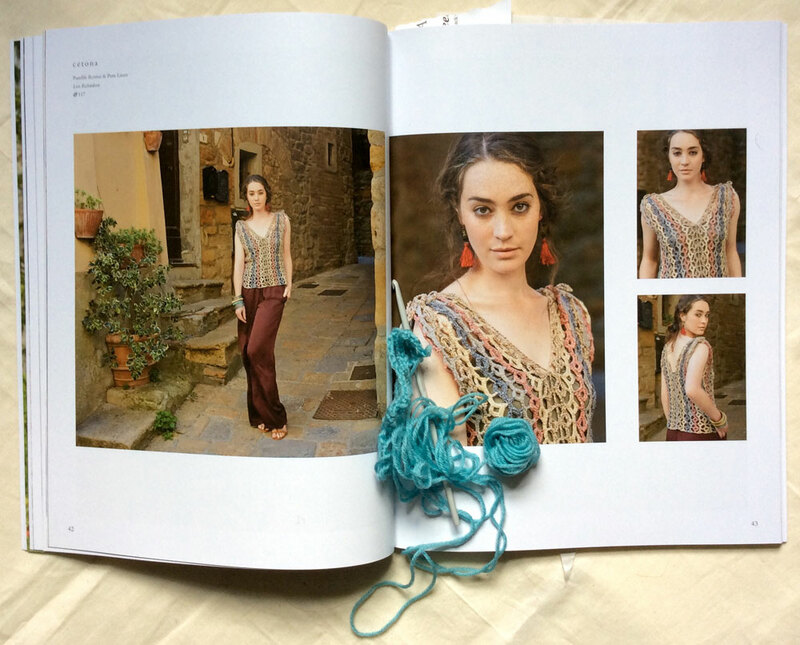 I have been tempted by one of the designs and seduced into learning how to crochet properly. There, you now know my secret. I cannot follow a grown-up crochet pattern yet. But am I going to let this stop me? NO! And why is this? 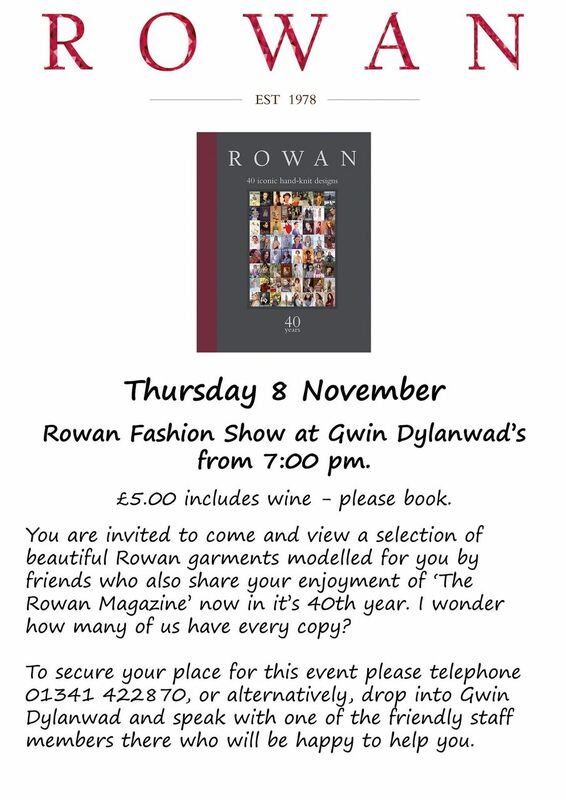 Because I have been taken over by the luscious colours of the Pure Linen range Rowan offers. This is the pattern that has tempted me away from my usual knitting activity, as you see I am working on my crochet using scrap yarn ‘cos I don’t want to muck up the delicious linen while I learn. Now, where is my friend Eileen – mistress of the hooked needle? I am hoping she will correct my tendency to misread instructions. Surely she will, she adores lovely yarn. I will keep you posted on my progress.